Whenever a WordPress blog is hacked or (on more rare occasions) thousands of blogs are compromised upon a host, numerous headlines spring up declaring how insecure WordPress is and why users should choose an alternative platform. Usually by the time a security guru is able to analyze the real culprit (which usually is an insecure web host or an out of date blog), the media is already perpetuating the myth that WordPress is an “unsafe” to use for one’s blog or website. Although the WordPress community has made upgrading to the latest version as painless as possible, trying to convince cheap web hosts (especially those promising unlimited hosting) to improve security despite the cost can be frustrating affair. Instead of trying to present guidelines for hosting companies in the hopes that they’ll improve on their own, it might be better for the WP community to establish a “report card” to help inform new comers which hosts will provide the best experience for their site or blog. What Would Hosts Be Graded Upon? Although there are numerous factors hosts could be graded upon, here are a couple of items that would be excellent to grade hosts upon. Security: How secure is the WordPress hosting company and (more importantly) what steps are they taking to prevent themselves from being hacked? Since hackers are constantly trying to discover new exploits upon web sites, this will probably require frequent audits. Stability: Basically what is the uptime of the web host overall and (more importantly) are the WordPress blogs hosted experiencing frequent errors? Although no one expects a web host to boast perfect uptime (something Google is great at), it would be great to see which hosts provide near perfect uptime for their users. What/Who Would Be The Standard? Although some hosting companies would balk at this idea, using WordPress VIP (by Automattic) as the standard might be a great idea despite the companies insanely high standards. While it’s probably doubtful that any company would be able to match Automattic’s security, it would be great to see web hosts everywhere strive towards being as secure as the blogs being hosted upon WP.com (or rather Automattic’s VIP program). If that standard is to high for hosting companies (after all WordPress is all Automattic has to host), they could opt for other companies like FireHost to be the standard bearer. Disclosure: My WordPress blogs are hosted upon FireHost’s servers via Page.ly. Although WordPress does recommend a few reputable hosts, it would be great for users to have more criteria as to which hosts they should choose based on security tests and stability reports. A leaderboard showcasing the best WordPress hosting companies might be enough to inspire the hosting industry (at least those with many WordPress clients) to improve their security and performance in order to improve their place upon the list. While having a WordPress report card would not please everyone, it may make it easier for users to select a reputable host in order to avoid getting burned in the future (and blaming WordPress for the reason that their blog was hacked). Is a WordPress report card a good idea or bad idea? Feel free to express your thoughts in the comment section below! Darnell Clayton is a geek who discovered blogging long before he heard of the word “blog” (he called them “web journals” then). When he is not tweeting, Facebooking, or blogging about space and his beloved iPhone, he enjoys running, reading and describing himself in third person. Darnell, having been hacked and helping others who have been hacked, the need to evaluate hosting from a security point of view is really timely. A report card is a great idea and perhaps a forum would be a good place to host the discussion. I do disagree with you calling the real culprit the users (for leaving outdated code on their site) and hosting companies (for promoting unlimited sites on shared hosting). The REAL culprits are the hackers. The WordPress community must pull together and work together to watch over our neighborhood on the web. Thanks for the report card idea. Who’s up for it? I think you’ll receive pretty interesting responses, this article will be very beneficial to many people in more than one ways. Thanks for posting! I like your report card idea. I use Hostgator and I’m extremely happy. My blog was never hacked – maybe because it’s fairly new. But my others weren’t either. WordPress surely isn’t perfect but it is the most popular blogging platform. I think this is half the reason why it catches so much crap. The internet is covered from head to toe with WordPress sites. And among all the WP sites out there you’ve got a bunch of people making mistakes that lead to security issues. I do agree it would be nice to see hosts to start and show users what they’re doing to ensure WordPress users won’t have to worry about security. 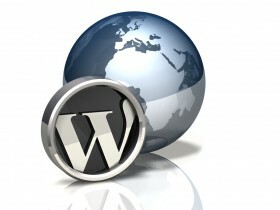 Overall, I think WordPress is a fantastic solution for most bloggers/webmasters. Great idea! I think muddling through the hosting dilemma is one of the more difficult questions a newbie faces when thinking about a website. The experience is not unlike finding a used car; you know there are a lot of bad actors, but the only way to find out who they are is to ask a lot of questions. Having a scorecard would be a big help! I think the report card is a very good idea. As you mentioned, it makes easier for users to select a reputable host in order to avoid getting burned in the future. I myself, have a WP site and facing problems about site latency. If there’s a report card, I can easily see which hosting suits my needs. I have used wordpress since 2011, its is still the best blogging site even though there malwares surrounding wordpress. I would often scan my sites, and always have backups incase something happens. But I would still use wordpress for blogging.